I found this recipe from the Kewpie website and modified it a little. 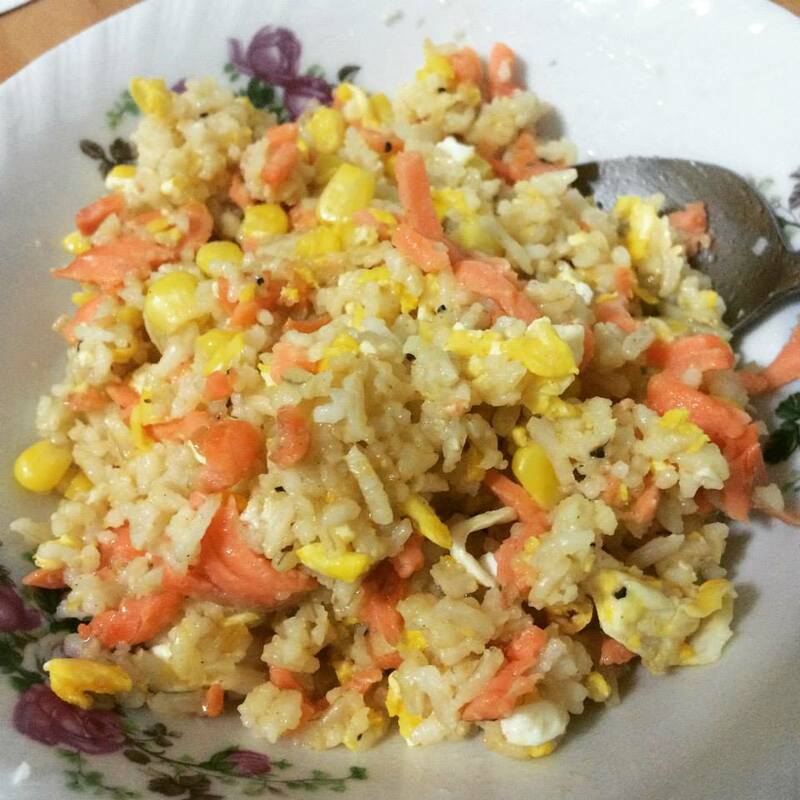 I mixed the rice with 2 swirls of kewpie (approximately 1.5 tablespoon), added in my ingredients (smoked salmon and frozen corn, in this particular instance), and mixed them really well. I then scrambled 1 egg in a heated pan, before adding in the rice mixture into the pan and mixed them again. Add a dash of black pepper and viola! I didn’t add more salt because of the smoked salmon, but depending on your choice of ingredients, you may need to add some soy sauce for flavor.